How to use the hotel budget template to easily make your hotel budget. If you purchased the hotel budget template from the site, here is an explanation on how to use the file. While the file is very simple to use, for a person making the budget for the first time, it may be confusing to understand the file completely. So in this post, I will breakdown the steps to be followed to get to the correct budget. As you open the file you will have various tabs. We will go through each tab in detail and talk about how to fill it. The first tab to fill out is the rooms tab. This is the most critical sheet for the budget as rooms are generally the biggest revenue component for the hotel. In the segmentation tab, enter the room nights you plan to achieve for the month under all the segments of business. The first 3 segments are your online channels. Fill this form first to ensure your room nights are correct. This is all the input you need to fill out in this tab. The revenue will be automatically calculated and your room revenue budget is done. This is the place where you will add all the expenses related to the rooms department. Start with Salaries and wages and then go to variable expenses like laundry and chemicals. Take time to enter the correct figures based on previous year spend. You cannot edit this tab as this is just a total sheet for all the other tabs which belongs to food and beverage department. Add the covers and apc in the restaurant and bar tab and also add the expenses in the tabs to make the fnb budget. In the spa tab, you will need to input the space available for the spa. This will help you determine the revenue per square fee the spa is generating. Add the revenue and expenses as in the other columns. This is the tab to put the expenses of all the ancillary department like Finance, Security, GM office and HR etc. In this tab, you need to enter the cost for all the utilities like electricity, water, water tanker etc. This is the key tab for the engineering department. All the expenses for salaries, AMC and other expenses for maintenance should be put into this tab. The final tab is the sales and marketing tab, where you add the expenses for all sales and marketing related expenses. At the bottom of every sheet you will have a few lines of critical statistics for that department which will help you keep your budget within benchmarks. Only after you have put in the information in all these tabs, should you look at the tabs for yearly budget and monthly statement. The yearly budget tab has some additional fields you need to enter before you get the final EBITDA number. In the yearly tab you will also get some key statistics for the business. 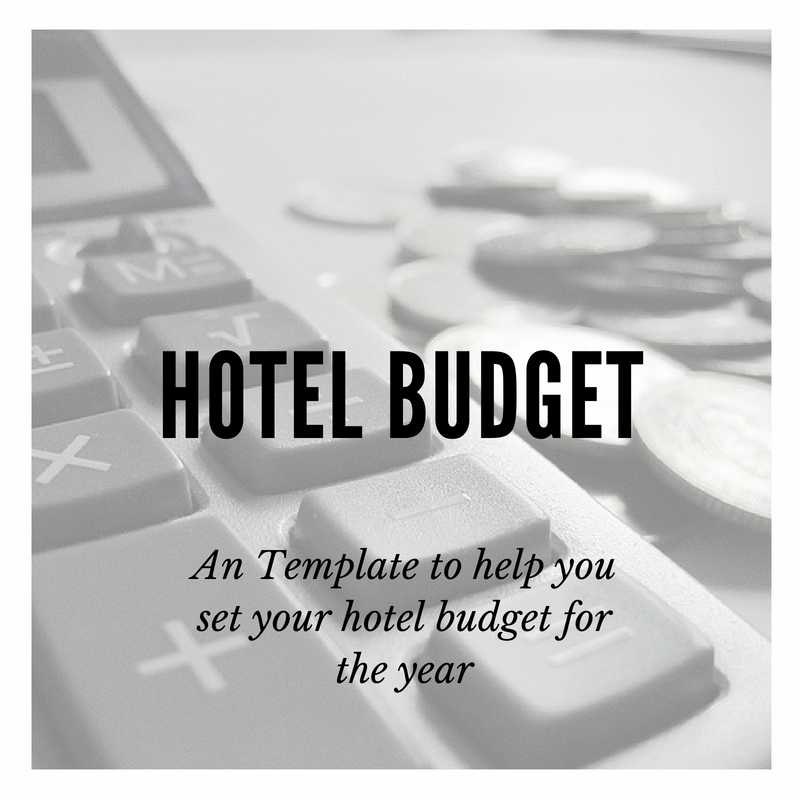 Follow the instruction to use the hotel budget template to make your budget for the hotel. If you follow it step by step, you will be able to make the budget in a short time. Even if you are a department head and don’t need the entire file, it makes sense to download the file to ensure you do not miss out on any critical component of the operations. Once you purchase the file, you can continue to use it forever so it is a small investment to ensure your budget process is correct.